Press-on nails get a bad rap, mostly because the press-on nails of the past were, to put it mildly, disastrous. They were heavy, fit poorly, and more often than not came in French tip designs. The glue they came with wrecked nail beds. And thus, gel manicures exploded and press-on nails cleared the shelves for the most part. 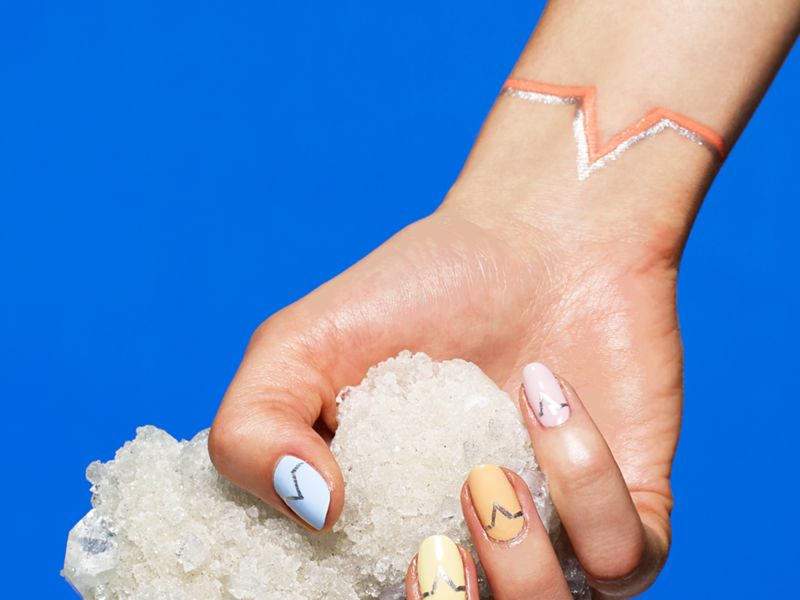 But a couple months ago, senior beauty editor Alix Tunell declared that press-on nails were officially cool again after discovering Static Nails. (Yes, there were some initial eye rolls on the beauty team.) 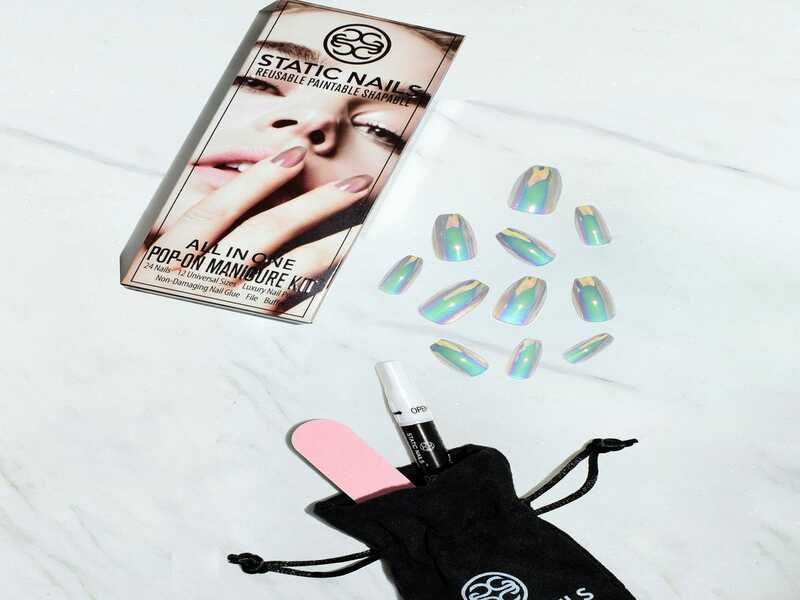 When she whipped out the faux nails in question – the brand’s holographic set in Smoke and Mirrors – it was hard to deny that they were actually pretty trendy. It isn’t just the chrome shades and shiny, sheer finishes to choose from, but the fact that the nails are shapable – you can cut, file, and shape them to a seamless fit. The process is pretty easy: Before breaking into the glue, select the correct sizes by placing the faux nails onto your nail beds. File or clip the sides until it fits perfectly. Next, apply a thin line of glue onto your nails starting from the cuticle and ending at the tip (the kit comes with instructions for how to glue depending on how long you want the nails to last – anywhere from two to eight days). Carefully press the nail on and hold down firmly while the glue dries for 30 seconds. Then, file or clip the tip into whatever shape and length your heart desires and get ready to shock everyone when you tell them your manicure isn’t gel. This article was written by written by Mi-Anne Chan from Refinery29 and was legally licensed through the NewsCred publisher network. Please direct all licensing questions to legal@newscred.com.